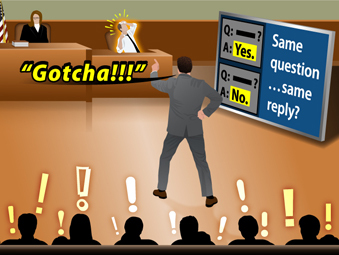 Note for Judges Willing to Mentor and Educate: As most trial judges know, many attorneys do not know how to properly impeach a witness using a deposition or other prior inconsistent statement. Following jury trial many attorneys ask the presiding judge for constructive criticism on the attorney’s performance during trial. These post-trial judicial critiques are golden opportunities for the judge (if willing) to mentor and educate a young attorney. This training update and sample impeachment scripts are intended to serve as a set of general principles and guidelines for trial attorneys to learn and follow. Update Focus: You are upset at your judge’s evidentiary ruling(s). You are convinced the courts legal analysis is seriously flawed and you believe you could win on appeal. Preserving the court record is one of the fundamental duties of all judges and attorneys. However, winning an appeal by arguing evidentiary error is exceedingly hard to do. This Update will focus on the 5 most important rules that attorneys and judges must follow in order to preserve an evidentiary ruling for appeal. QUESTION: What legal analysis should the court apply when asked to rule on the admissibility of an out-of-court statement? ANSWER: If you have ever read “Alice in Wonderland” you would be wise to follow the King’s advice to the white rabbit and always “be gin at the beginning.” In other words, when asked to rule on the admissibility of an out-of-court statement, instead of assuming the statement is hearsay and skipping directly to the hearsay exceptions (which is what most of us do), it is usually best to take a step back, go to the beginning and ask the threshold question: is this out-of-court statement really hearsay? The answer isn’t always clear. 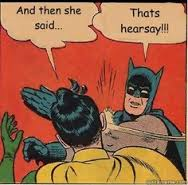 Many statements that initially appear to be hearsay, on closer examination, actually are not. In order to make that determination I suggest you apply the following FOOL-PROOF HEARSAY TEST. QUESTION: During trial, judges are often asked to rule on the admissibility of electronic evidence. 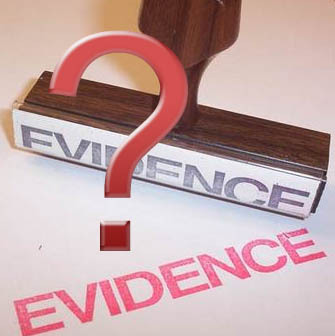 This unique form of evidence typically takes the form of: 1) Website Data; 2) Social Network Communications and Postings; 3) Email; 4) Text Messages, and 5) Computer Generated Documents. What Four-Step legal analysis should the court follow in ruling on the admissibility of Electronic Evidence?